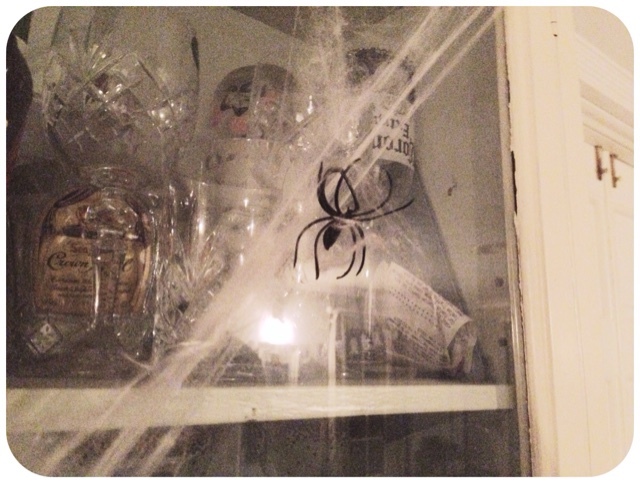 We had a halloween party on actual halloween (since it just happened to be a Saturday). 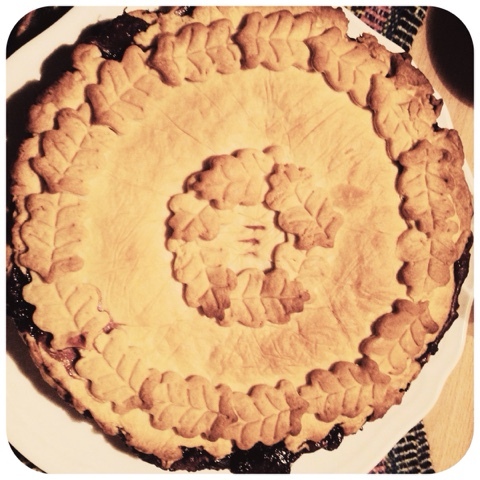 There were sparklers, a little bonfire, mulled cider and apple juice, a slow cooked ham and lots of autumn fruit pies! 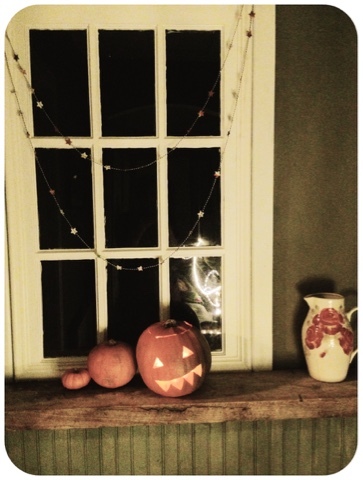 My mum grew the little gourds last year for my sisters wedding and I dried them to use again this year. 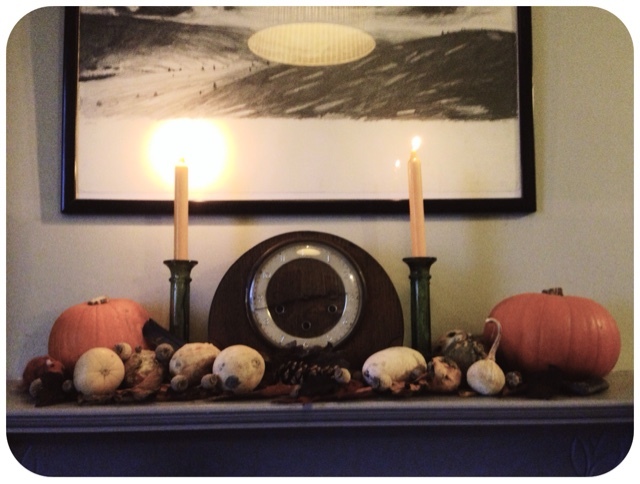 The colours aren't as bright as they were last year and they are really light and hollow sounding but I think they still look pretty nice on the mantlepiece. 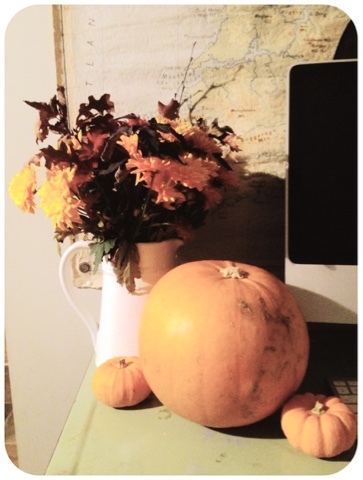 This year I've added some fresh pumpkins (which will end up in a soup or something in a bit) and some leaves, twigs and pinecones picked up from various walks as well as some poppy seed heads from the garden. 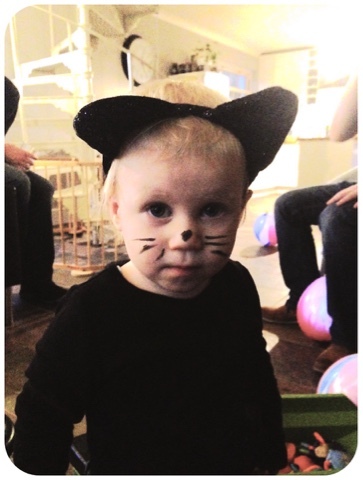 The smaller guests dressed up, George was a cat and meowed lots. 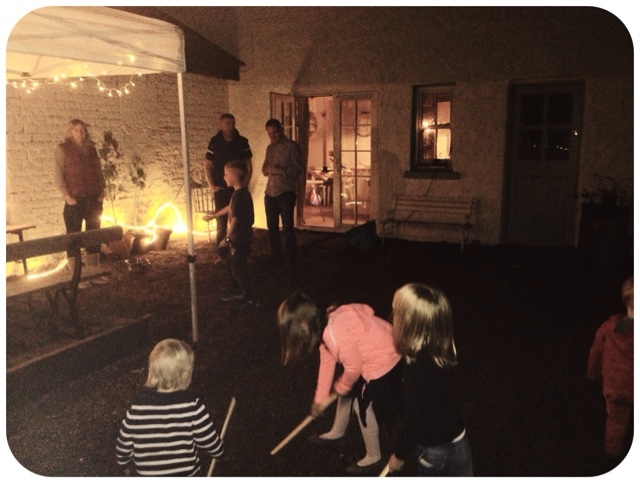 We had sparklers and a little bonfire in our cast iron garden stove outside. It was so mild we even ate our tea outside too. 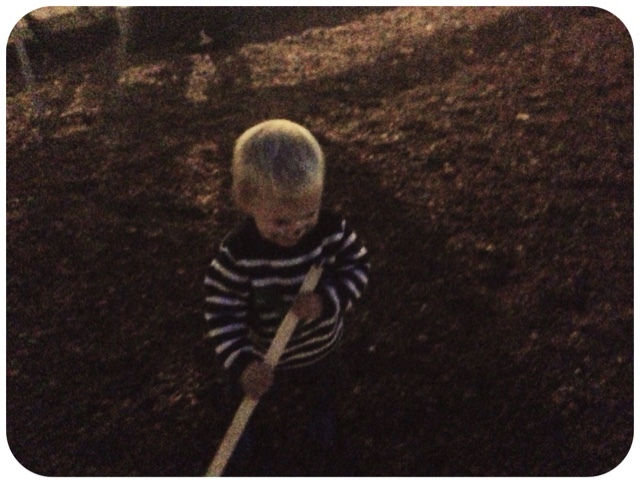 The sticks for the bonfire proved more interesting than the sparklers for some of the guests. 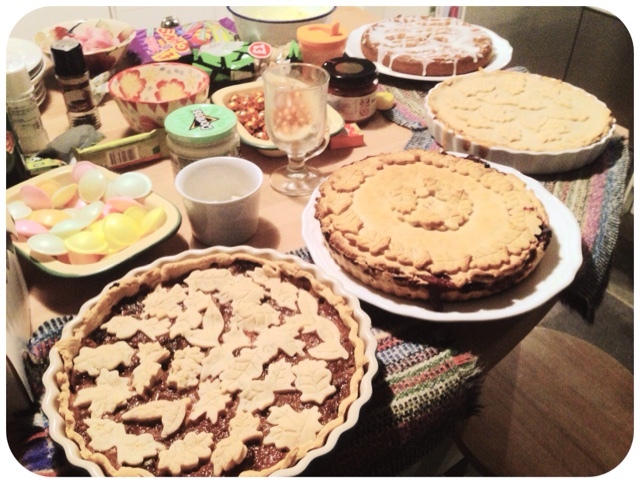 There was lots of food, including tonnes of sweets as well as these three pies which are from the left - boozy rhubarb (made with the rhubarb I strained out of my rhubarb liquer), blackberry and apple and the last one is apple. 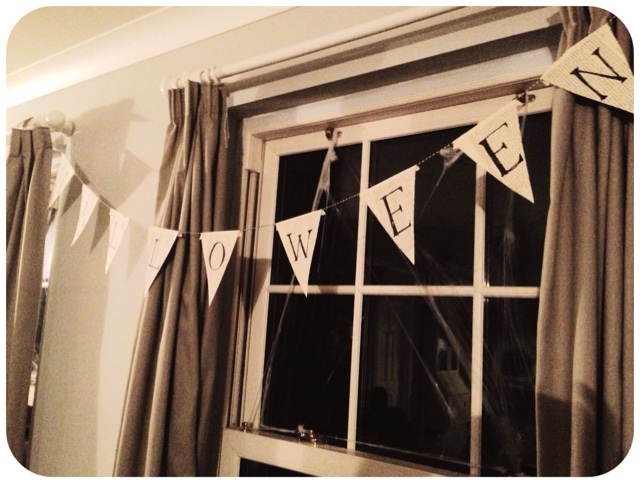 This one was my favourite - I bought the little leaf cutters on eBay. 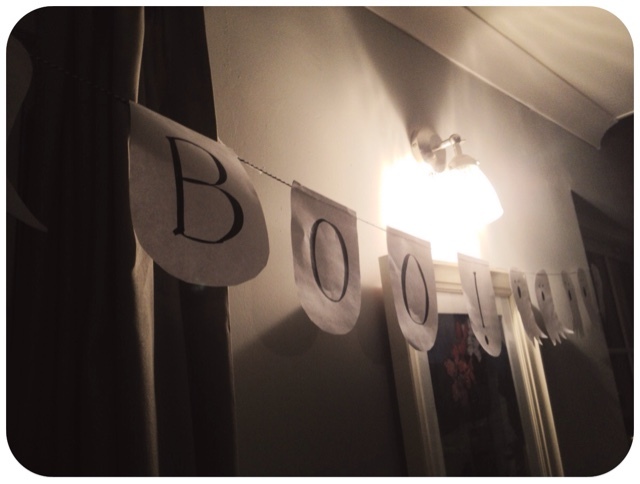 No party is complete without bunting in my opinion so I spent the Friday night before the party making some out of the pages of an old book and a sharpie marker! 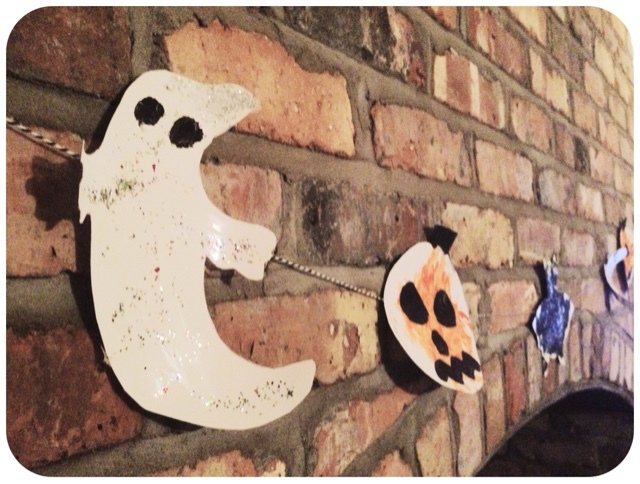 George makes all sorts of marvellous art projects at nursery so I added these to some black and white string to make a spooky garland. 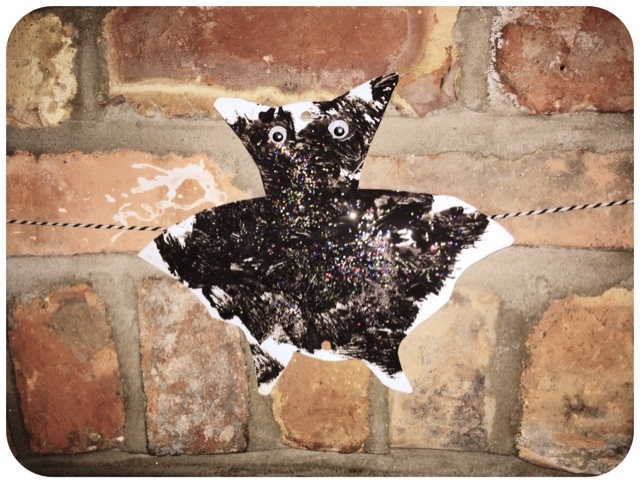 I love this glittery bat! 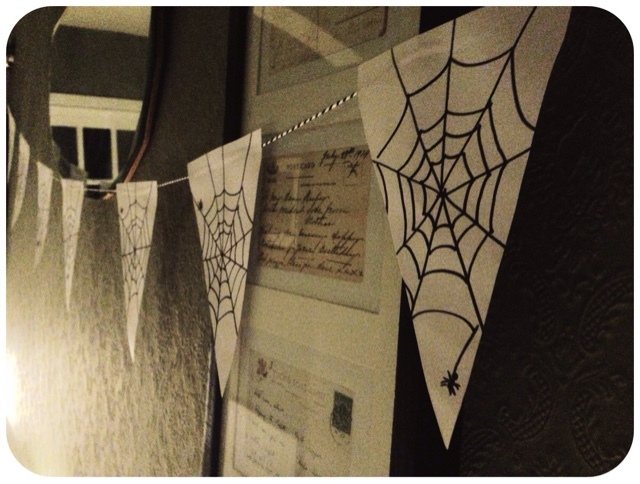 My sister gave me some spider web decorations which came with their very own spiders. 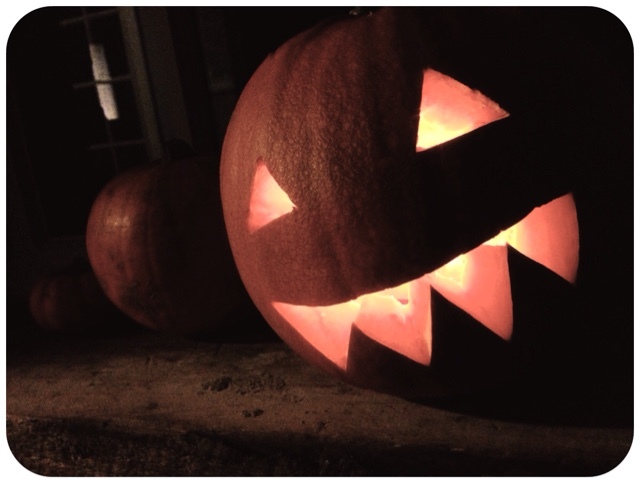 I had planned to carve lots of pumpkins but in the end I just did this one simple one. Will try harder next year! I made a pumpkin cake with the stuff I scooped out of it but after cooking for what seemed like an eternity it was still the most squishy inedible thing unfortunately. 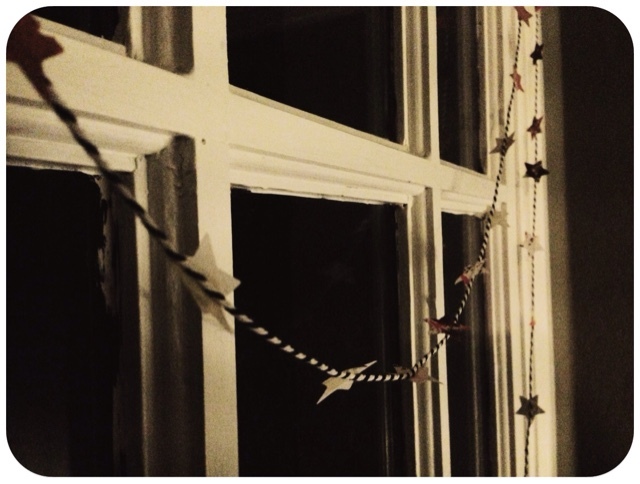 Some more bunting, this time it's just ordinary printer paper and a sharpie marker taped to black and white butchers string. 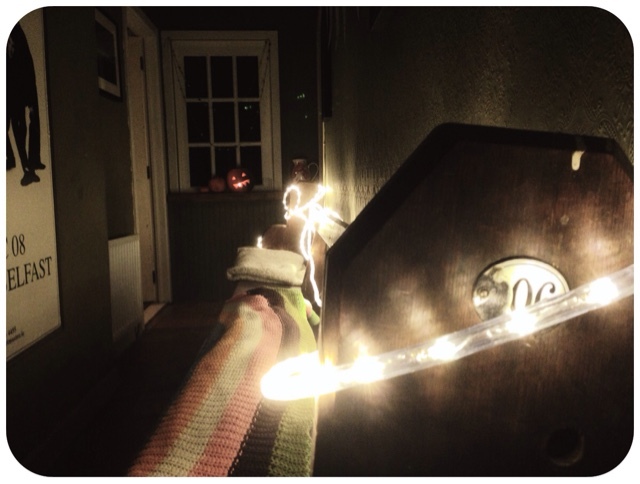 We strung some rope lights along the bench in the hall which I really love. They are so sparkly! All in all it was a great party, now the back yard is pretty much finished I'm hoping we can have lots more gatherings out there.